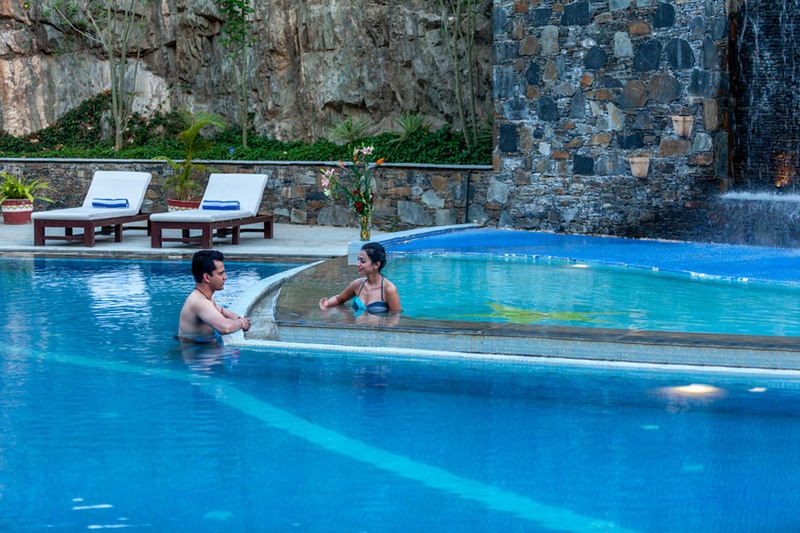 The resort also has an outdoor heated swimming pool alongside an outdoor heated Jacuzzi, both of which offer an uninterrupted view of The Monsoon Palace and ensures that you start and end every day in Udaipur, be it summer or winter, feeling relaxed and revitalized. 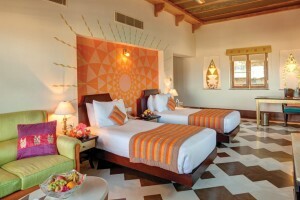 The hallmark concept design of this resort is its central courtyard featuring a large swimming pool around which all the four types of guest rooms and restaurants are located.et. A multi – cuisine restaurant serving gastronomic delights. The Bar at the resort is fun, relaxed space, well stocked with an eclectic mix of spirits, wines and cocktails. Enjoy the best banquet facilities at Ramada Udaipur, one of the premium hotels in Rajasthan. 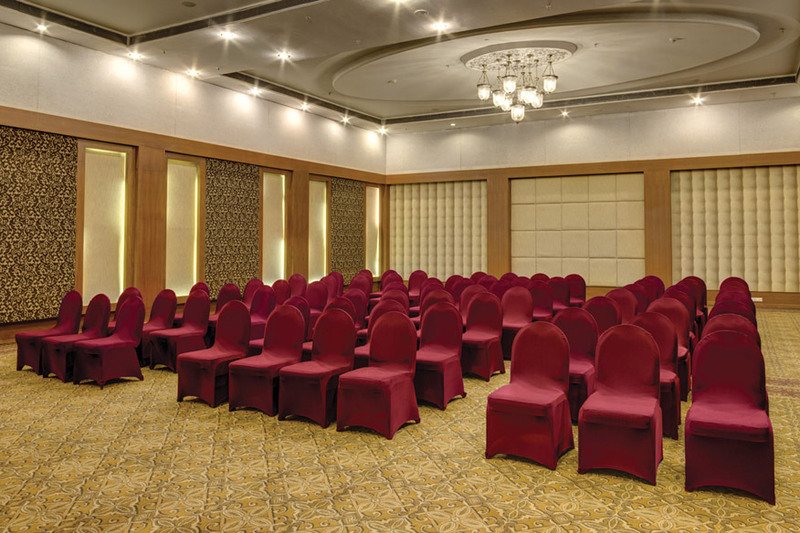 The minimalistic yet stylish décor combined with state-of-the-art facilities makes it the perfect destination for any event or occasion. You’ve imagined every detail of your wedding day. We’ll make it a reality. 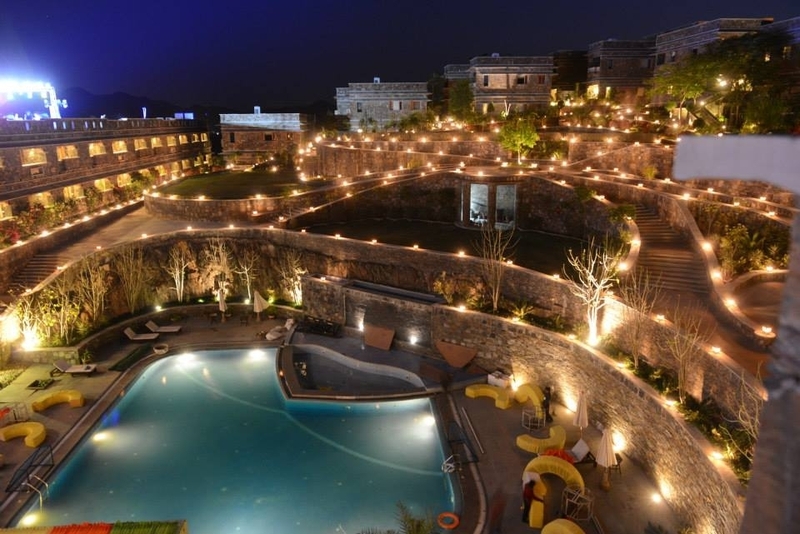 Ramada Udaipur Resort & Spa, boasts of splendid indoor and outdoor wedding venues; including resort’s lawns and conference halls. The resort also has an outdoor heated swimming pool alongside an outdoor heated Jacuzzi, both of which offer an uninterrupted view of The Monsoon Palace and ensures that you start and end every day in Udaipur.